Some health insurance companies reimburse for nutrition counseling. It is advisable to phone your healthcare insurance company to determine if you are eligible for nutrition therapy coverage, and if so, whether or not a referral is required. If your insurance company does not, for any reason, cover the fee for your visit, you are financially responsible for payment. Full payment, by check or cash, is expected at time of your visit. Rochelle is a participating provider for Aetna, CIGNA/Great-West, Empire Plan, HIP/Emblem Health, Multiplan, Oxford Freedom, Oxford Liberty, and United Healthcare. A minimum of 24 hours’ prior notice is required for cancellation or rescheduling of appointments. If 24 hours’ prior notice is not provided, an $80 cancellation fee will apply. Thank you for your understanding. 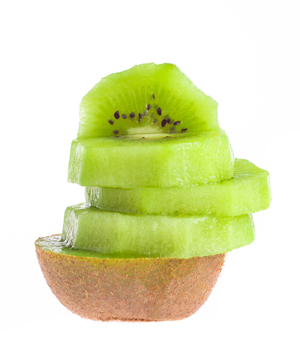 The kiwi fruit owes its name to New Zealand's flightless kiwi bird. Originating from southern China, the kiwi fruit is twice as rich in Vitamin C than oranges, and has as much potassium as a banana.